A lot of research goes into each Poesie collection, and the Thornfield collection was no exception. Immersing myself in the story I'm trying to capture inspires new scents and creates the overall feel of things. Although I did revisit the book, having read Jane Eyre countless times, I wanted to delve deeper and find outside sources to complete the picture of Charlotte Brontë and the environs in which the lives of her characters played out. I know I'm not alone in finding the elusive author to be a source of endless fascination, so whether the subject has recently captured your imagination or you have also found Jane Eyre to be a faithful companion through the years, enjoy a few of the best things I discovered in my exploration. I watch a lot of documentaries on YouTube, and when this one popped up in my feed, of course I was in. Although I had (and really, still have) no idea who Sheila Hancock is -- Wikipedia lists her as an actress and author -- her love for the Brontës makes her a compelling narrator, and she treats the subject as a very personal matter. 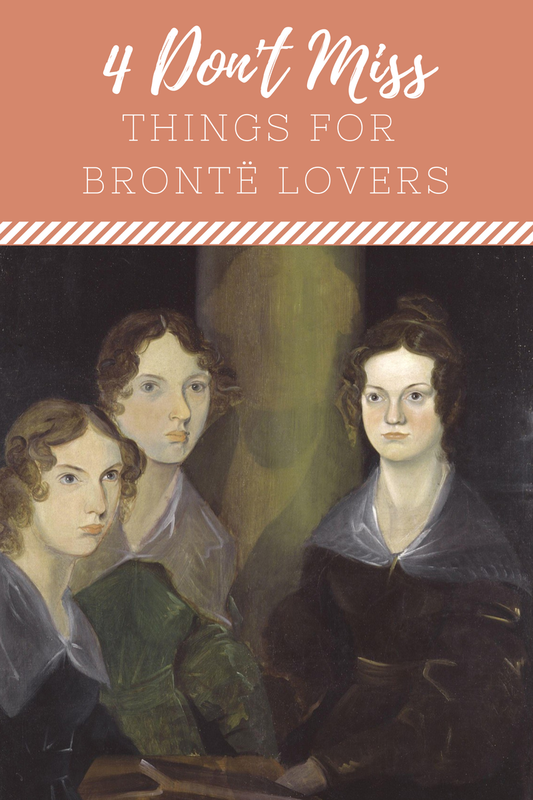 There will not be a lot of surprises for those who are already Brontë obsessed, but the scholarship is solid and it’s a more modern take on the three women, painting them not as stunted children or sheltered virgins whose writings were strange anomalies, but as intelligent, passionate women whose works belie their narrow world experience. I read Elizabeth Gaskell’s biography before picking this one up. The Gaskell version was the first Charlotte Brontë biography, written during the lifetime of her husband and father by the author who was a personal friend. Although I love Gaskell’s fiction and found the excerpts of Charlotte’s letters to be very moving, overall that book was a disappointment. A Fiery Heart is the biography I was hoping to read, one which conveys the passionate woman who brought us Jane Eyre. Charlotte and the Brontë household come to life vividly through Harman’s prose, and I found myself both laughing and crying. Mostly crying, though. The Brontë’s lives were sad AF. I subscribed to PBS just to watch this, and maybe my expectations were a bit too high. It covers a fairly narrow scope of the Brontë’s lives, focusing on Charlotte, Emily, and Anne at the time they were writing and publishing their best known works, while simultaneously dealing with the decline and eventual death of their brother, Branwell. It was not quite the expansive biographical work I had hoped to watch. To Brontë aficionados, however, seeing the household brought to life, glimpsing the landscapes that pervade their writing, and getting a more substantial understanding of the distinct personalities will be irresistible. The script, heavily based on Charlotte’s letters, is at times bleak, heartwrenching, and triumphant. Don’t watch it if you’re looking for a feel-good period drama, but if you can’t get enough of the Brontës, it will be worth your time. As many times as I have read Jane Eyre, I didn’t expect the audiobook to live up to the well established narrative voice in my head, but I was happy to be so wrong! Thandie Newton’s performance is absolutely captivating. The words come to life, feeling conversational in a way that most narrators could not manage with a midcentury Victorian novel. She creates such believable voices for all of the characters that when she channels Rochester, you forget that you’re actually hearing a woman speak. This version would make a great introduction for readers intimidated by reading the novel in print, and anyone who has loved and re-read Jane Eyre multiple times should give it a chance to let them experience the story in a new way. We don’t have anything against pumpkins, and we definitely don’t have anything against spice. We just think there are other scents that deserve the spotlight this season. So, in no particular order, our nominees for the next big fall thing. Who doesn’t love the smoky wood-fire smell that lingers on your clothes after a fall bonfire? Even people who don’t actually want to go outdoors love that smell! Smoke offers a darker take on fall, and pairs well with almost everything. Whether you like a spoopy, witchy take on it or you like it paired with marshmallows and candied apples, smoke is a fall must-have. Woody notes don’t really have a season - they’re great year-round, but especially perfect for fall when air takes on that delicious chill. Encompassing everything from sweet, creamy oak to dry, clean cedar to warm, exotic sandalwood, there’s a woody note that’s perfect for you whether your take on fall is a long forest hike or a cozy session on the couch with a good book. Hey, we’re against animal-cruelty, too! We love nothing better than our fuzzy friends (and all those other friends who are also animals but not fuzzy, obvs). Of course, when we say “leather” we mean “vegan leather notes in perfume.” And now that we’ve cleared that up, let’s just admit that there’s something about that animalic warmth that makes you want to roll around in it. Oh, is that just me?? Okay...moving on. You didn’t think we were going to leave you gourmand lovers out in the cold, did you? Marshmallow may not be the most revolutionary fall note, but that doesn’t mean it isn’t perfect. Fluffy, toasted, pink, whipped into buttercream, we’ll take marshmallow any way we can get it. It reminds us of campfires and Halloween treats, two of our favorite things about fall! Much harder to find than the ubiquitous marshmallow, dried leaves are simultaneously sweet and earthy. Slightly caramellic but also reminiscent of hay, and the most quintessentially autumn smell there is. Even if you don’t get a true fall -- you know who you are -- you can have it in perfume form and dream of kicking a big pile of crisp, dry leaves and feeling like a kid again. The smell of a rainstorm - petrichor, ozone, wet foliage - taps into one of the most primal sensory moments of the human experience. Autumn is the perfect time to enjoy the storm from the cozy confines of your home; snuggle up, listen to the sound of the rain -- and smell it, too. It’s the perfect excuse to stay in. This may be a controversial choice in a world that runs on joe, but we stand by it. Or sit by it, really. Preferably in a comfy chair. Other people can run around all jolted up on caffeine, we love the soothing ritual of brewing a cuppa. With a splash of cream or not, sweetened or not, dressed up with bergamot or not, we love tea and all its potential as a fragrance note. It can bring floralcy, smokiness, a hint of spice...so how do you take yours? There have been over sixteen English language film versions of Jane Eyre, beginning in 1910 with the first of eight silent movies based on the book. It’s entirely possible that - in the interest of research - I have watched most of these film adaptations of Jane Eyre. And equally possible that I created an elaborate rating system to determine the merits of each film.